. dual time shows with EL backlight function . 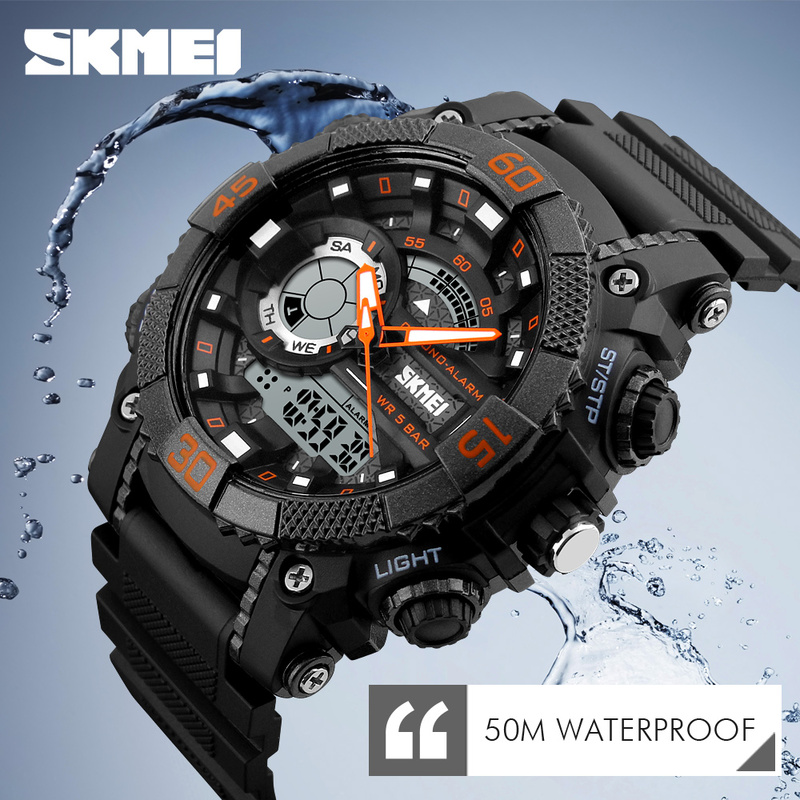 50M Water Resistant , Can Swim With It. . Type: Men Sports Watches . Movement: Japan Original Digital Movement . There are four colors for selection: Blue\\\\Gray\\\\Orange . Watch Length: (approx) 26.5cm . Band Width: (approx) 2.2cm . Dial Diameter: (approx) 5.1cm . Strap Material: Strong PU . Case Material: Acrylic + High Strength Hardened Glass . Clasp: Buckle . Showing precise time . It is good gift for someone special Note: we suggest you not wear it when swim .but if you go to swim or dive , pls don\'t press any button underwater!